Want to bring an Asian flair to your wedding? A beautiful cherry blossom symbolizes female beauty for the Chinese, while the Japanese associate them with the transient nature of life. The exquisite blossom has been part of Asian traditions for centuries, but now many brides choose this uniqueness as the central theme of their day. How do you recreate the look of the cherry blossom festival? Well, you could get married in an unconventional venue, such as a botanical garden outdoors. If you get married indoors, you could hang branches decorated with silk cherry blossom flowers to set the mood. Sprinkle a thick layer of petals on the ground to simulate the effect. Center your wedding colors on pink, brown and white with a little baby blue to create some contrast. Any theme wedding starts with the wedding invitation. 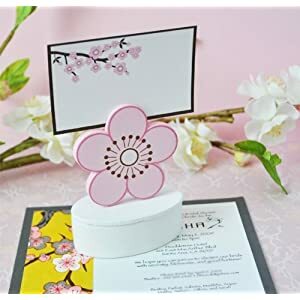 For this flower Asian inspired theme invitations come in different colors and sizes but the all have some sort of Sakura blossom design. Pinks, red and blue are the dominant colors for the theme and they are also reflected in the invitations. An original way to decorate your tables could be to use wine lamp shades. It is an affordable and simple way to bring chic elegance to your decor, even if you are on a budget. Decorate the venue with parasols or paper fans with a cherry blossom detail . Use paper lanterns on the ceiling to set the mood. If your menu will have some Asian fusion, use some cherry blossom-themed dishes and chopsticks. Another way to incorporate the cherry blossom wedding theme is to set your tables with cherry blossom table number cards. Have your wedding cake decorated with cherry blossom branch designs or use cherry blossom sugar flowers on it. Take a look at this gorgeous creation by Let Them Eat Cakes. Many brides like the idea of an original cupcake wedding cake. Placing cupcakes in a tiered tower achieves this. 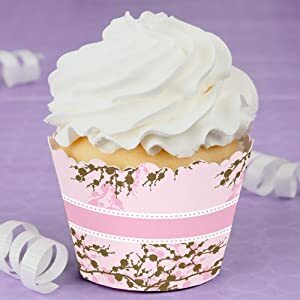 Make sure to have your cupcakes themed and dressed for the event. Using wrappers and/or cupcake toppers will allow you to do this. The cherry blossom wedding theme lets you go for a non-conventional color for your wedding gown if you would like to. 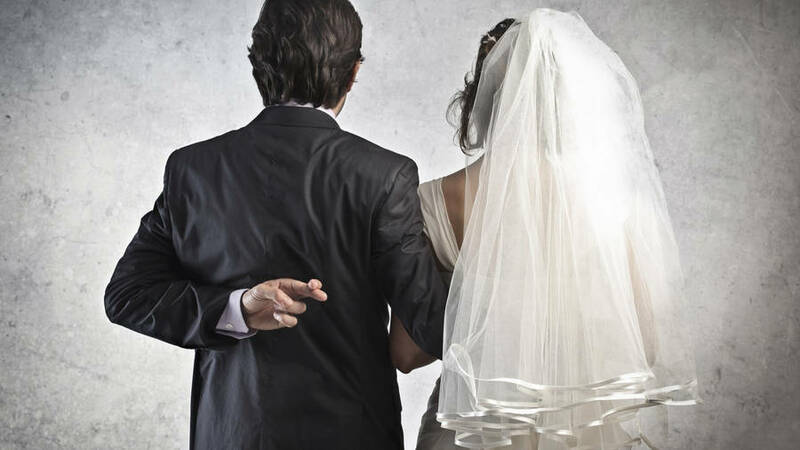 Many wedding gowns come in pink nowadays. I am not talking about bright neon pink, but a pale pastel pink—they are gorgeous, believe me! The pink is so subtle, that with some shades it is hard to tell that it is pink at all. So if you are daring, wear a pink wedding dress. This is a great idea that will have everyone talking. If you don't want to go completely pretty in pink but want some detail, wear a white dress with a little pink detail, maybe with some embroidery or ribbon. Or perhaps a white dress with a pink lower detail—like Gwen Stefani's wedding dress. It is absolutely your call; these are just ideas for you to consider. You can add some silk cherry blossom hair flowers to your do to fit the theme as well, no matter what type of dress you decide to wear. It is always good to show your guests your love and appreciation for sharing this very special day with you. 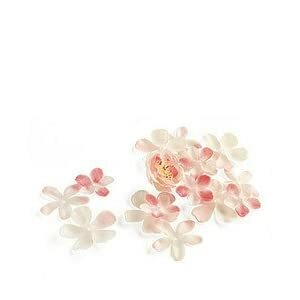 There are hundreds of favors to choose from for a cherry blossom theme. Among the favorites, you will find delicate cherry blossom scented soaps and cherry blossom mini-pillar candles. But there are also edible favors, fans, hand lotion, themed chopsticks and more. You can even give your guests some cupcakes as a favor. Have fun planning your cherry blossom wedding theme!